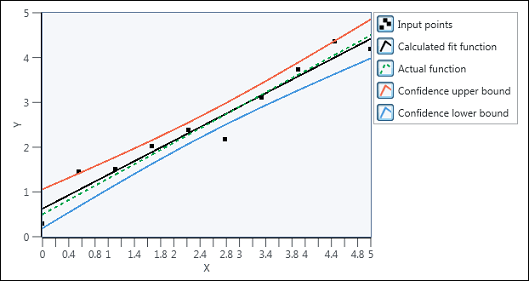 Calculates the confidence interval of the best linear fit for an input data set. Confidence radius of the slope of the fitted model. Confidence radius of the intercept of the fitted model.